With only months to go until legislative elections, scheduled to be held in June 2015, Turkey appears to be at a major turning point. In the past year, President Recep Tayyip Erdoğan successfully shook off the impact of the Taksim Gezi Park protests of May-June 2013 as well as allegations of corruption against members of his government and his family that were leaked by the Gülen movement in December 2013. In August 2014, Turkey’s strongman consolidated his rule when he became Turkey’s first elected president, winning 52% of the popular vote. The new head of state now hopes that the ruling AK Party will win enough seats in the national assembly to rewrite the constitution and officially grant him the executive powers he seeks. Erdoğan was quick to declare the birth of a “New Turkey.” His vision for the country matches his oversized personal ambitions. He wants Turkey to take its place among the top ten countries by its centenary in 2023, an unrealistic target at a time when the country’s economy is slowing down. Big, bigger, biggest: superlatives are routinely required to describe Erdoğan’s major projects. 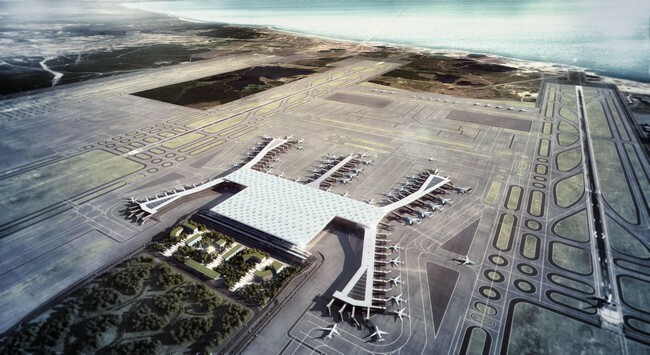 A new airport for Istanbul, to be completed in 2018, will have six runways and be the largest in the world, it is claimed. Erdoğan also has plans to carve a man-made canal parallel to the Bosporus, in spite of warnings from environmentalists. A mosque, large enough to hold up to 30,000 worshippers, is under construction on Çamlica hill, on the Asian shore of Istanbul, and will dominate the Bosporus. The AK Party’s enthusiastic support for the construction industry has already transformed the landscape of Turkish cities, including the skyline of Istanbul’s historical old city. More controversial even than Turkey’s physical transformation is Erdoğan’s determination to impose his conservative Sunni values on Turkish society. Prime Minister Ahmet Davutoğlu, who has been unable to step out of Erdoğan’s shadow, shares this ideology. In the past couple of years, Recep Tayyip Erdoğan has condemned the consumption of alcohol. As a result, students in hospitality schools will no longer be taught to serve alcoholic drinks, even though Turkey’s economy relies on the annual revenues brought by 30 million tourists. Erdoğan, who views women primarily as mothers, frequently urges them to have at least three children. In November, he publicly declared gender equality “against nature.” Turkey currently ranks 125th among the 142 countries listed in the 2014 Gender Gap report of the World Economic Forum, and violence against women remains a serious problem. Although abortions are still permitted by law, they have become much harder to obtain, especially in provincial towns, since Erdoğan condemned them publicly. “We want to raise pious generations,” Erdoğan stated while prime minister. At a recent meeting, the official education council decided to begin teaching religious values from kindergarten. Turkey is now appealing a ruling by the European Court of Human Rights condemning compulsory religious education. Since the last general elections in June 2011, the school system has been entirely reshaped. When the AK Party came to power in 2002, fewer than 65,000 students attended religious schools (imam hatip); the number has now soared to close to a million, the president proudly announced in October. In the past year, many parents have complained that their children were forced to enroll in imam hatip because fewer places were available in secular public schools. Without waiting for changes in the constitution, Turkey’s president is already stretching the limits of his constitutional mandate, which currently requires the head of state to remain above politics. Erdoğan, who has often stated that “democracy comes through the polls,” believes his electoral victory in August gives him the right to impose majoritarian rule on the entire society. His narrow interpretation of democracy, which offers no protection for alternative views, is shared by many across the political spectrum. Erdoğan’s “New Turkey,” in fact, borrows heavily from the social engineering and repressive policies of the past decades, adding a religious twist. Erdoğan may have sidelined the army and the Kemalist establishment, but he has adopted their intolerant approach, expecting obedience from citizens, using conspiracy theories and a conservative brand of nationalism to manipulate public opinion. Few of his secular opponents, who view him as the anti-Atatürk, would acknowledge that the cult of Turkey’s founding father, who was himself an authoritarian leader, has promoted the notion of the single, powerful trailblazer and contributed to Erdoğan’s rise. Corruption and cronyism have also been perennial issues in Turkey, but the expansion of Turkey’s economy and the AK Party’s long tenure in power have dramatically increased those problems. Since corruption allegations surfaced on the Internet at the end of 2013, Erdoğan has been involved in an all-out power struggle with his erstwhile allies, the supporters of the Pennsylvania-based cleric Fethullah Gülen, believed to behind the leaks. Thousands of police officers and members of the judiciary close to the Gülen movement, also known as Hizmet, have been removed from their posts, accused of being part of a “parallel state.” Thanks to the purge in the judiciary, courts have recently dropped two separate investigations into the corruption claims, one of which involved Erdoğan’s son Bilal. Ahead of the upcoming elections, Erdoğan is further tightening the screws on his critics. Purging the “parallel state” has become a priority, listed in national security documents. 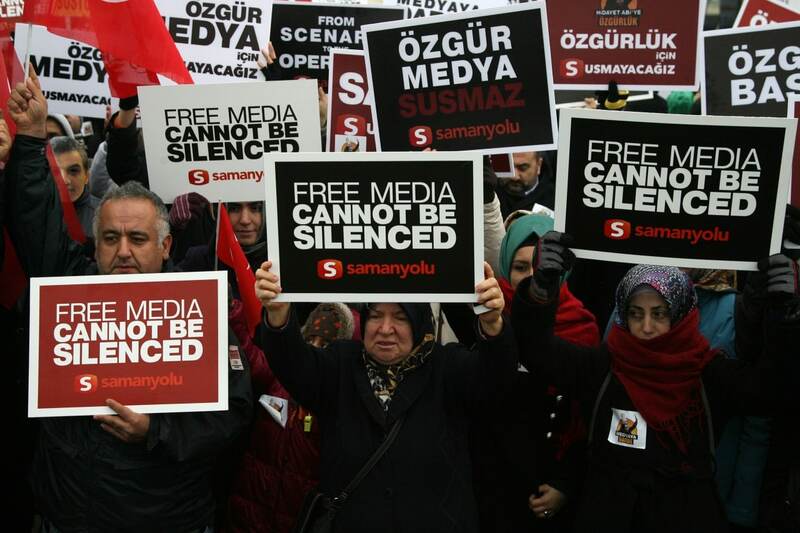 On 14 December, at least 24 people linked to the Hizmet movement, including journalists and editors of Zaman newspaper and Samanyolu television, were detained. AK Party cronies now control an important share of the media, and critical journalists in other outlets are being weeded out. While the defiant rhetoric of the head of state is causing concern in Western capitals, his claim that he is the victim of an international plot aimed at weakening Turkey, which is merely a new variation on a paranoia and suspicion of foreigners that is deeply ingrained in the Turkish psyche, strikes a chord with his supporters. Backing for the president is also based on the increased prosperity enjoyed by many in the past decade (in spite of persistent income inequality across the country) and significant improvements in social services. These are among the AK Party’s real achievements, which Erdoğan’s hunger for power now threatens to undo. 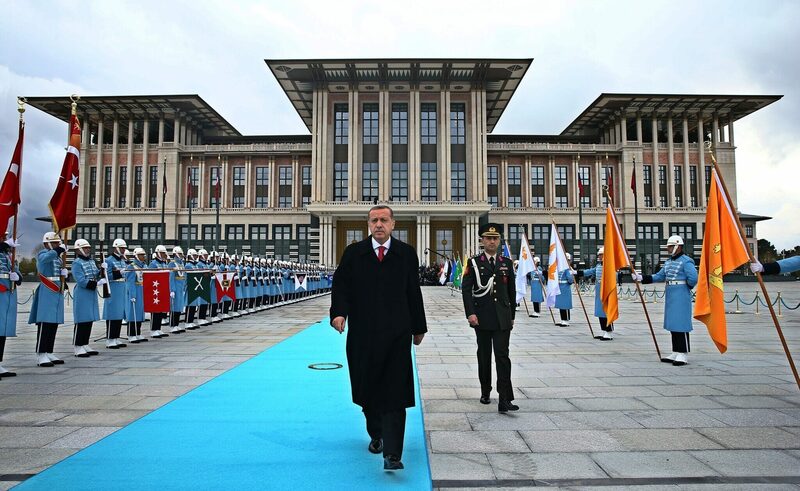 More checks and balances are being dismantled, and, in the absence of a credible opposition in parliament, Erdoğan’s relentless march to one-man rule appears to be gaining momentum. The economy, which accounts for much of his past success, could, however, prove the president’s Achilles’ heel. In recent months, companies with ties to Gülen have been targeted. Bank Asya, for instance, was severely weakened after state institutions withdrew their money. As unemployment returns to double digits, Turkey, reliant on foreign capital to support its economy, can ill afford to project the image of a country where revenge and arbitrary decisions override the rule of law. In the days that followed the Hizmet-related arrests, the Turkish lira plummeted, as Erdoğan told his EU critics to “mind their own business” and stressed that he did not care about the possible damage caused to his country’s EU accession process. Will Erdoğan’s dream of a presidential system prove a step too far for Turkey? Many Turks are horrified at the thought of handing more power to the increasingly volatile and autocratic Erdoğan. Yet observers are forced to acknowledge that, while the shrewd politician has hurt and divided society by playing on deep-seated fears and fuelling polarization, he has so far always achieved his goals.